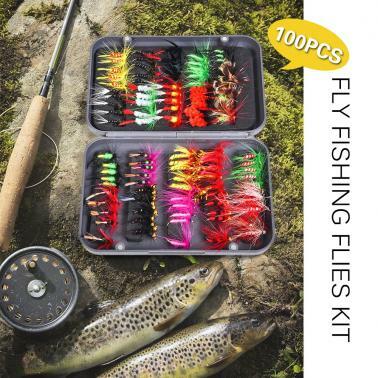 This fly fishing flies kit includes a variety of colors and hooks to allow the option of fishing in various conditions. 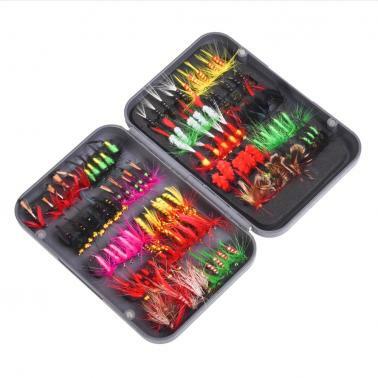 Fly fishing flies kit with different colors, 5pcs for each color. 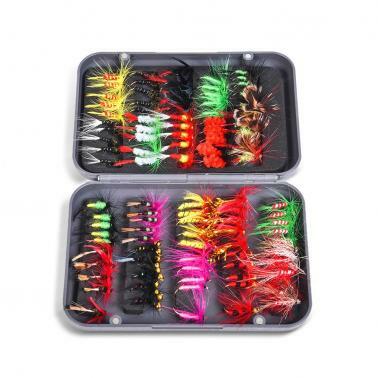 20 flies kit with 4 colors; 100 flies kit with 20 colors. Tied with strong barbed hook. Vivid colors, easy to draw gamefish's attention. 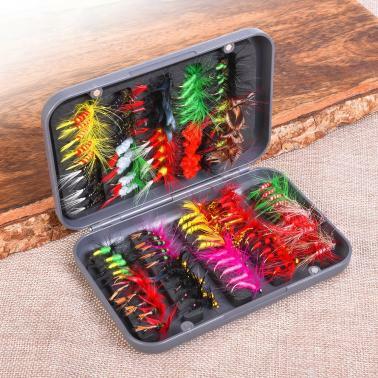 Well packed in a pocket fly box for easy storage and carrying.